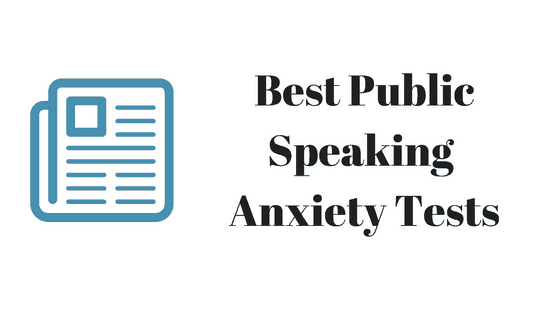 Take a public speaking anxiety test to learn if you have low, medium or high public speaking fear. A phobia is typically in the medium-to-high range and means that your fear is getting in the way of your goals. For example, you may be unable to graduate from school or interview for a job. The more your fear prevents you from achieving your goals, and the more your fear limits your life, the more severe your phobia. The good news is that phobias are treatable. There are thousands of people who have overcome public speaking anxiety with the right treatment. Cognitive-behavioral treatments have been found to be most effective. Public speaking phobia is a type of social anxiety, so you may want to join a social anxiety or public speaking phobia treatment group. 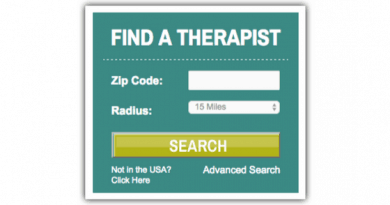 See our list of treatment centers or online counselors that specialize in social anxiety and/or public speaking phobia. 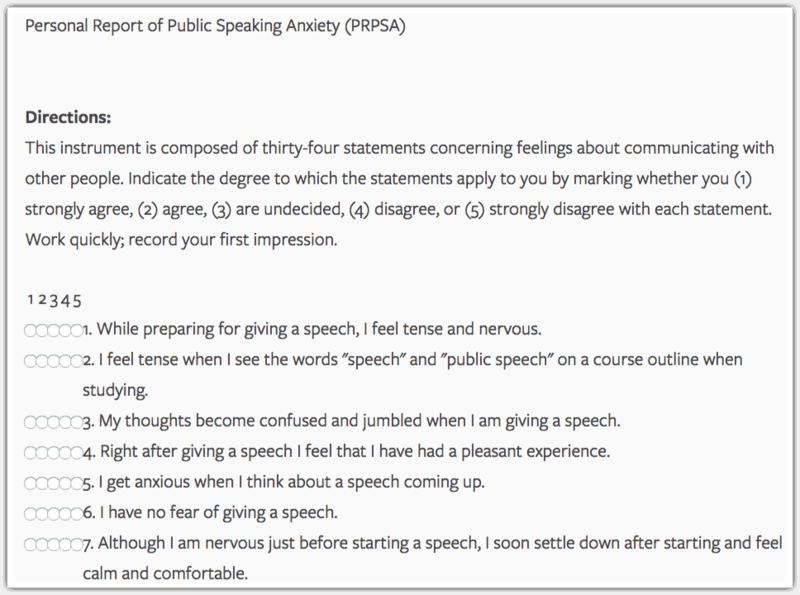 The Personal Report of Public Speaking Anxiety (PRPSA) is a highly reliable test of public speaking anxiety. It was developed by J. C. McCroskey at West Virginia University. Murray State University created a nice web-based version of the PRPSA test below. This is the original version of the PRPSA test. You have to score it yourself. 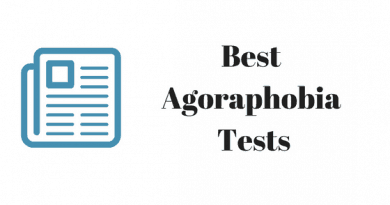 We recommend taking the test by Murray State University above because it scores the test for you. The Personal Report of Communication Apprehension (PRCA-24) is a highly reliable test of communication apprehension. 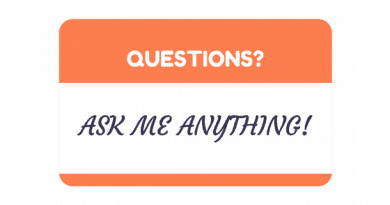 This gives you sub-scores for public speaking, one-on-one interaction, small groups, and large groups. It was developed by J. C. McCroskey at West Virginia University. 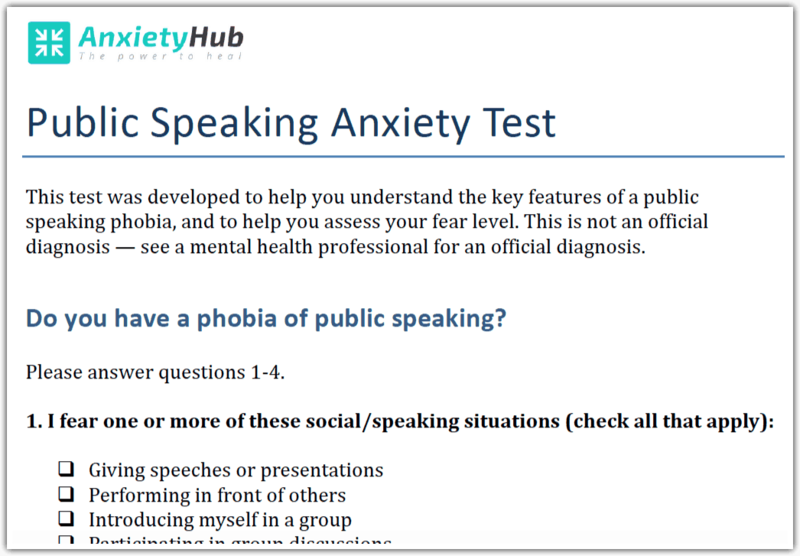 This is a general test for Public Speaking Anxiety Test [PDF] developed by AnxietyHub. 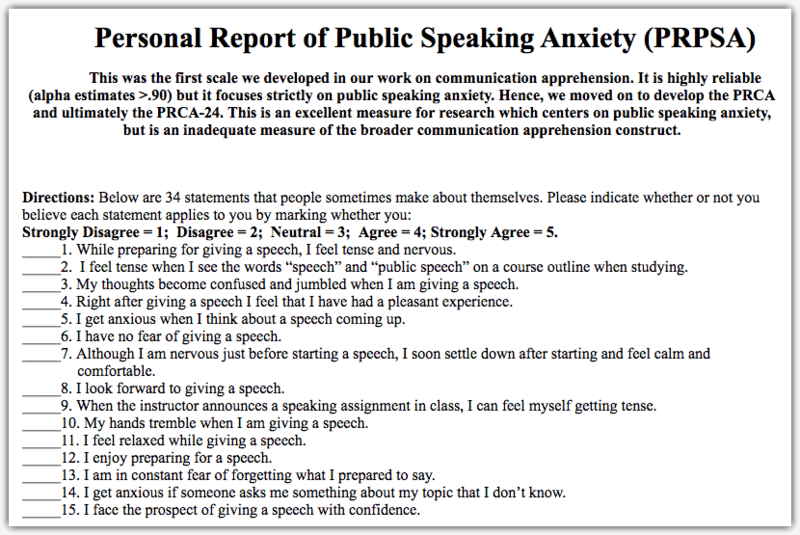 Take a shorter version of the Public Speaking Anxiety Test [PDF].